6/80 (6 cyl, 2215 cm³, 72 KM) – end of prod. in October. 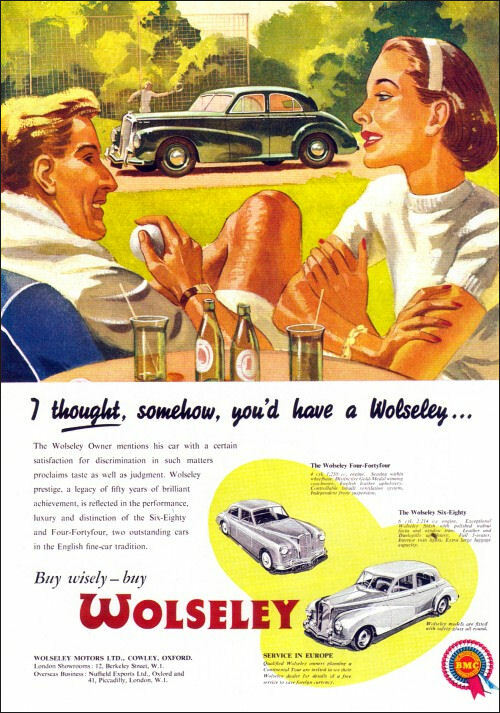 Nadwozie nowego Wolseley'a 6/90 jest takie samo jak Riley'a Pathfindera a 4/44 jak MG Magnette. Wynika to z polityki unifikacji i oszczędności prowadzonej przez BMC. 6/90 jest następcą 6/80. The Six-Eighty was continued until October 1954 when it was replaced by the Six-Ninety. 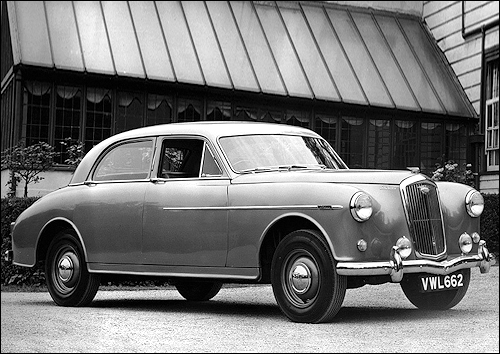 Sharing a body shape with the Riley Pathfinder, 6/90 of 1954 stands 2" higher, and has traditional Wolseley grille with illuminated badge. Engine is 90 bhp C series 2639cc giving 90 mph top speed. Four speed box has column change. Separate chassis has coil spring and wishbone front suspension, and coil spring and radius arm rear. Interior is leather trimmed with wood cappings. 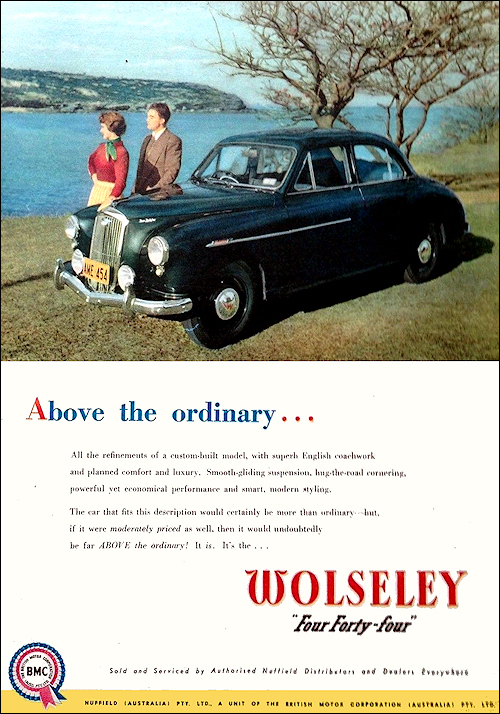 Wolseley 4/44 - Australian advert.